90s was the era of music videos when pop songs became chartbusters. 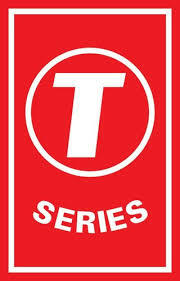 T-Series, India’s leading music label for 30 years, who gave the audience pop songs like Deewana, Tera Chehra, Chanda Ki Doli, Ab Mujhe Raat din, etc always tried different aspects of music. Introducing new talent to bringing forth music in different ways for the audiences to explore. Music videos that existed in Indian music industry suddenly created noise in 2014 again when Bhushan Kumar started making singles with an amalgamation of good music and story driven videos. The videos received millions of views like Dheere Dheere (Hrithik Roshan – Sonam Kapoor : 244 million, Main Rahoon Ya Na Rahoon (Emraan Hashmi – Esha Gupta : 93 Million), GF BF (Sooraj Pancholi – Jacqueline Fernandez : 87 Million), Befikra (Tiger Shroff – Disha Patani : 32 Million), Pyaar Manga Hai (Ali fazal – Zareen Khan :51 million) and many others. As per a leading dailies report, the year 2016 saw many singles – soulful melodies laced with heartwarming lyrics. Out of the top 10, the first seven tracks are T-Series produced. The results are based on the votes received online, the number of online streams/downloads and an internal jury. ‘Gal Ban Gayi’ featuring Urvashi Rautela and Vidyut Jammwal, has been sung by Meet Bros, Sukhbir Singh and Neha Kakkar. It also has rap by Yo Yo Honey Singh. ‘Befikra’ features Tiger Shroff and Disha Patani. It has been rendered by Meet Bros, by Aditi Singh Sharma and Natalie Di Luccio. ‘Do Chaar Din’ , which features Karan Kundra and Ruhi Singh, has been penned by Manoj Muntashir and sung by Rahul Vaidya. ‘Pyaar Manga Hai’ , which features Zareen Khan and Ali Fazal, is a recreation of Kishore Kumar’s iconic song. It has been rendered by Armaan Malik and Neeti Mohan. ‘Gf- Bf’ , which features Sooraj Pancholi and Jacqueline Fernandez, has been sung by Gurinder Sehgal. ‘Ik Vaari’ , featuring Ayushmann Khurrana and Aisha Sharma, has been sung by the Bollywood actor. ‘Tum Ho Toh Lagta Hai’ , featuring Taapsee Pannu and Saqib Saleem, has been sung by Shaan. ‘Menu Kehn De’ featuring Himesh Reshammiya and Alankrita Sahai, has been rendered by the actor-composer-singer. ‘Fursat’ featuring Arjun Kanungo and Sonal Chauhan, has been sung by Arjun himself. ‘Bas Itna Hai Kehna’ , a romantic number, which features Sonu Nigam, Vir Das, Richa Chadha and Shaad Randhawa, has been sung by Sonu. With such tremendous support and stupendous response to the music videos, T-Series is proud to bring back the era of music videos and plan to launch several more videos in coming months.